It’s unclear if Apple realized it was essentially creating a whole new gaming platform when it came up with third-party applications for iOS devices, but that is exactly what has happened. As with the iPhone and iPod Touch before it, the iPad has been flooded with games, and we’re here to help you sort through the thousands of games to help you figure out which ones are really worth bothering to download. This time we’re bringing you a mixture of the types of games you used to find in arcades, as well as those games that are great for the family on a cold winter’s night. Please note that developers do change pricing on their apps from time to time, and while these were all free at the time this was written, do double check the price before clicking download. All links will take you to the iTunes page for more information and a link to download the app. Harbor Master HD: You control the course of boats coming into the harbor to offload their freight, but be careful that none of them collide with one another. The game is free, but there are additional maps you can choose to purchase, although the free initial free map is enough to keep you busy for ages as you try to master the game. Pac-Man Lite for iPad: This version only features the first stage of the classic Pac-Man arcade game, but for the majority of people out there, that should be more than enough. Robokill Lite: Mars station Titan Prime has been taken over by killer robots. You must fight your way through to liberate the station while upgrading weapons, finding hidden items and just trying to stay alive. 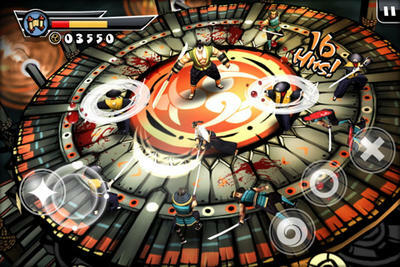 Samurai II: Dojo: Battle your way through armies of samurai as the game gets harder, and their weapons more deadly. 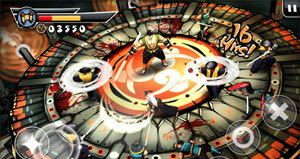 Features RPG-like elements in that you can upgrade health, get new attack combos and upgrade. Features Game Center support for unlocking achievements. Tunnel Shoot Free: Use the iPad’s accelerometer to guide your ship through the tunnels, blasting obstacles out of your way to not only survive, but to also score points. Backgammon Deluxe Free: Backgammon is one of the oldest known board games in the world, so it would almost be a shame to not have an app for it on your iPad. Not much else to say about it sicne it is one of the most well known games in the world, but it features three different levels of single player difficulty as well as supporting multi-player. Battleship for iPad: The classic game of Battleship comes to the iPad, albeit with a few small changes (i.e. the aircraft carrier occupies spaces in two rows). Place your ships either horizontally or vertically and then take turns with your iPad shooting one shot at a time to try to find and sink the fleet. Keep track of your local scores, check out the global scores and even invite friends to try out the app. Chess.com – Play & Study Chess: The Chess.com mixes together unlimited online play against human opponents with a challenging computer AI for when you want to play offline. 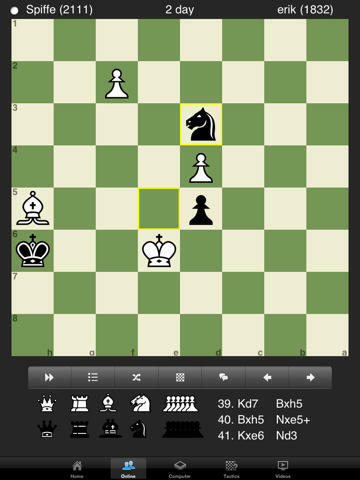 Also features a tutorial mode and videos from Grand Masters to help you learn more advanced tactics. Jigsaw Mansion: With the screen size and resolution of the iPad, jigsaw puzzles seem like the perfect fit (pun intended) for a game to have on your iPad. Features nine original pieces of artwork, 360 degree piece rotation, auto-saving and more. Simon Says …: Based on the classic electronic memory game of the late 1970’s and early 1980’s, Simon Says … allows you to play single-player, co-op mode and via Game Center. Challenge yourself with different modes, earn achievements and a whole lot more.